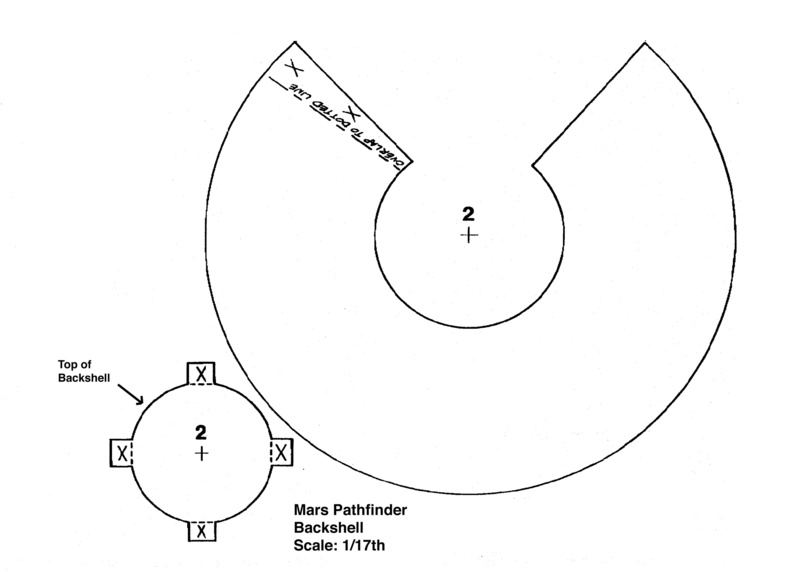 Build Your Own Mars Pathfinder Spacecraft Model! 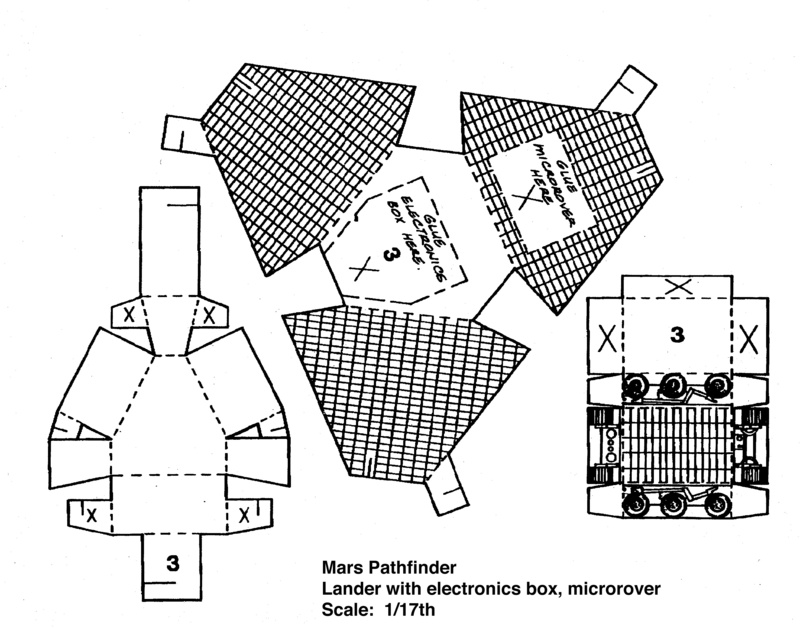 If you have ever wanted to have your very own model of the Mars Pathfinder spacecraft, here is your chance to build one. 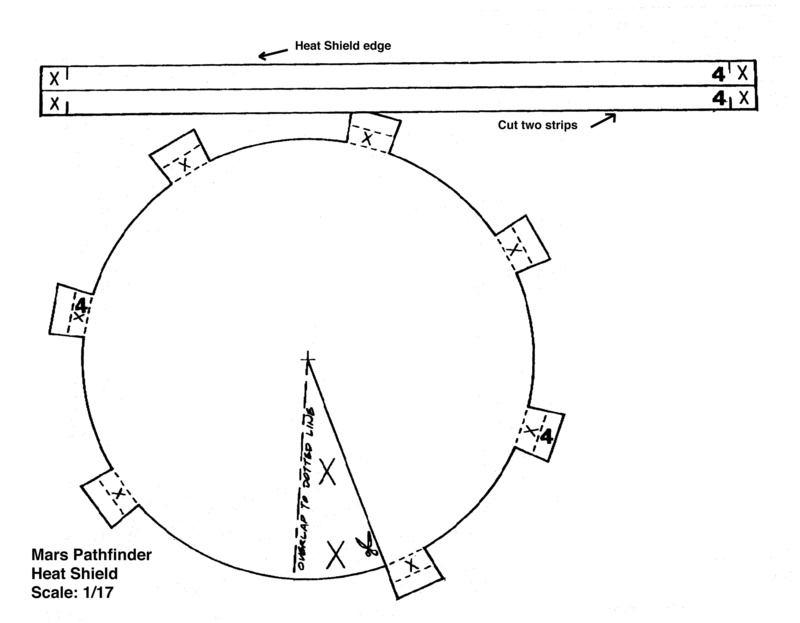 Click on the cutouts below to download, print and construct the model. You will need scissors, tape and/or glue to put it together, and colored markers or pencils to finish it up. Here are some pictures of the real thing to inspire you! We have also made up smaller files, less sharp GIF versions of the images, that will still print out on 8.5"x11" size paper. Each image is sized to print on regular 8.5"x11" paper (landscape orientation). Remember, the thicker the stock you print on, the sturdier your model will be! David Dubov (ddubov@pop.jpl.nasa.gov). Please be specific! Sojourner and Mars Rover are trademarks of the California Institute of Technology. 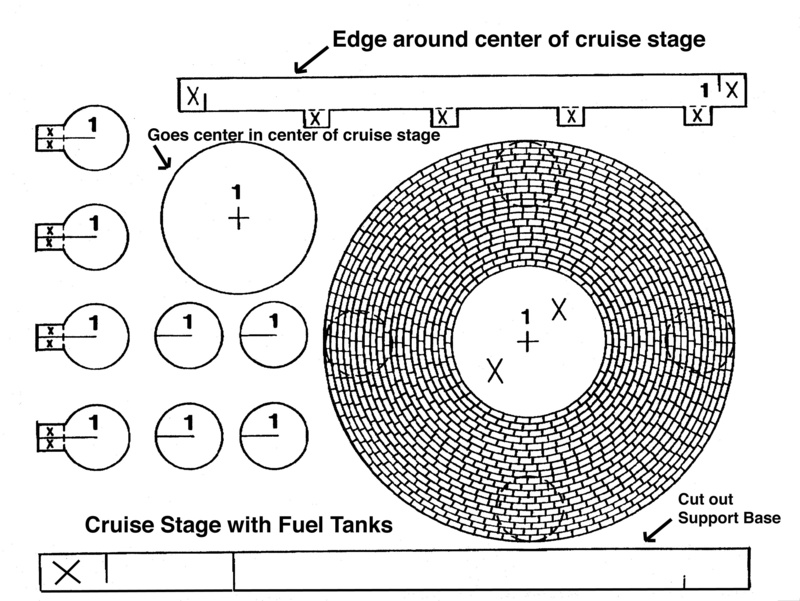 Mars Rover, Lander and Aeroshell designs (c) 1996-7 California Institute of Technology, ALL RIGHTS RESERVED. Permission for commercial reproduction other than for single-school in-classroom use must be obtained from the JPL Commercial Programs Office.